Acupuncture To Yoga: What Works For Car Wreck Injuries? Getting involved in a car crash can be a scary and traumatic experience. After you’ve reported your accident to the law enforcement officials and discussed your injury with an auto accident attorney, you may need to deal with the ailments related to your vehicle crash. Relying on medications and pain killers can only mask the problems instead of treating them. The following tips can help you seek natural forms of treatment when relieving the stress and discomfort of a vehicle accident injury. If you’re experiencing any aches and pains related to your vehicle accident, a physician may prescribe pain medication to relieve your discomfort. Unfortunately, pain relievers provide short-term relief, and you may need to find a long-term resolution to heal the entire body after your accident. 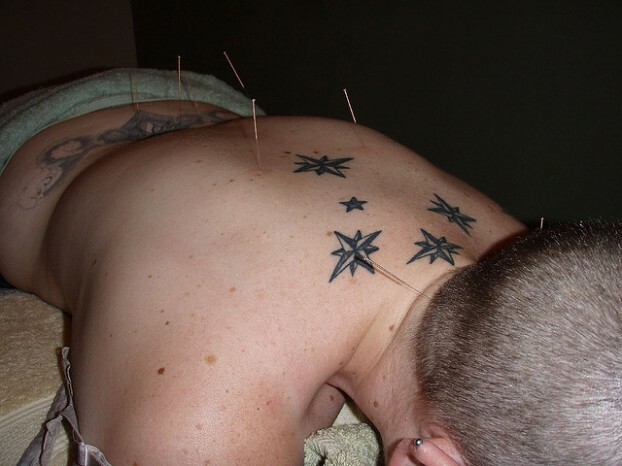 Acupuncture can bring comfort to areas that are experiencing swelling caused by your accident. It can also improve one of the most common auto related injuries, whiplash. Acupuncture has been show to promote circulation and healing and reduce inflammation in problem areas through the insertion of tiny needles. It also works in tandem with other natural treatment methods such as a healthy diet, massage and vitamins and supplements. A car accident can throw your body out of alignment, especially if you’ve experienced swelling and inflammation. This hands-on therapy is designed to help an individual lessen their pain through the various movements by addressing the specific areas that have been injured. Other parts of the body may also need treatment to promote healing through the body’s central nervous system. It can also promote relaxation and mental wellness. When you experience total mind and body relaxation, your body can rehabilitate and heal properly. Muscle stiffness and tension is a common symptom of a vehicle accident. In addition to massage therapy and chiropractic care, you may need the help of yoga and meditation to lengthen, stretch and work out any problems or issues related to your accident. If you’re experiencing mental anguish over the ordeal, yoga can be beneficial in finding ways to focus your energy on healing instead of reliving the car accident. Your body will become more flexible and pliant with each class, and the moves are structured to benefit the internal muscles and organs. Inflammation caused by your car accident can keep you from living a normal life and regaining your mobility. After you have gone through the proper channels as recommended from attorneys like the ones found at Steinger, Iscoe & Greene, getting back on track with you eating is key. There are specific foods that you can eat to promote your health and wellness. Fatty fish such as salmon, sardines, tuna and mackerel can reduce pain and inflammation when eaten regularly. If you’re not a fan of fish, you can take a fish oil supplement. Dark leafy greens such as spinach, kale, broccoli and collard greens are beneficial in protecting the body. If you’ve been in a car accident and have been experiencing pain, inflammation and mental anguish, you can find alternative methods of treatment. The above methods can speed up the healing process and reduce inflammation, pain and anxiety caused by the ordeal. A knowledgeable and experienced auto accident attorney can also aid in the process. Giovanna O’Neal is a mommy blogger who has used various holistic approaches to curb pain after spinal cord injury. If you have been hurt in an auto accident, seeking advice from attorneys like the ones found at Steinger, Iscoe & Greene can help you determine who was responsible and whether or not you have rights to compensation. Previous story DUI: Is A Strip Search Ever Justified?